This synthesis written by Britta Daum summarizes the main points raised during the event "From the European Energy Community to the Energy Union" organised by the Jacques Delors Institute, on May 20, 2015, in Paris. 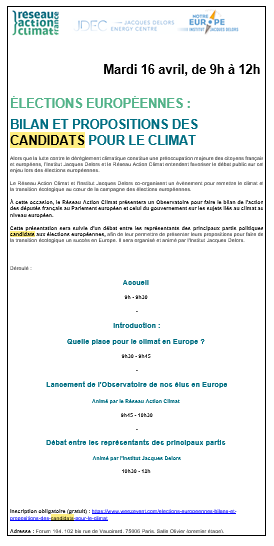 This synthesis written by Britta Daum, research assistant at the Jacques Delors Institute, comes back on the salient ideas of the conference “From the European Energy Community to the Energy Union”, organised by the Jacques Delors Institute, the Société d’encouragement pour l’industrie nationale (Trust for National Industries) and the Mouvement Européen France, on May 20, 2015, in Paris. 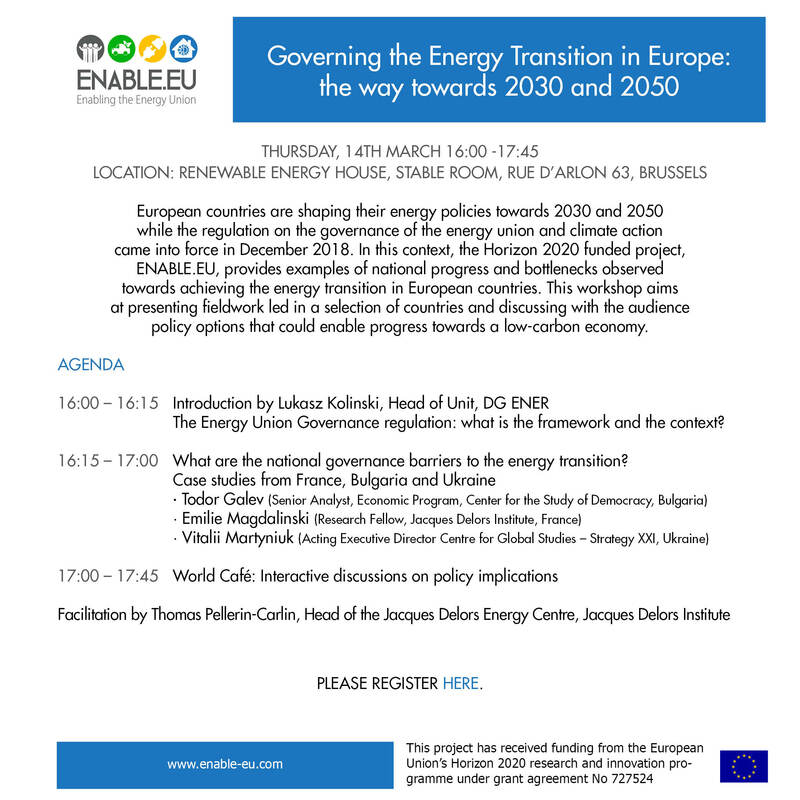 The conference was divided in two parts: The presentation of the report “From the European Energy Community to the Energy Union” (published on January 27, 2015 and prefaced by Jacques Delors) by Sami Andoura and Jean-Arnold Vinois and the debate on the challenges of the Energy Union, to which Harlem Désir (Minister of State for European Affairs), Gérard Mestrallet (CEO of Engie) and Gerassimos Thomas (Deputy Director General, Directorate General for Energy of the European Commission) contributed in particular. The event was introduced by Olivier Mousson (Chairman of the Société d’encouragement pour l’industrie) and moderated by Pascal Lamy, president emeritus of the Jacques Delors Institute.